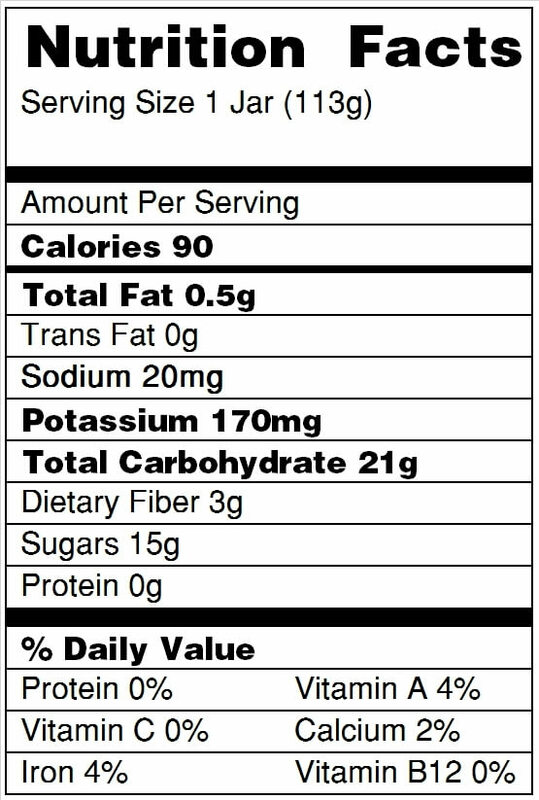 Ingredients: 52% apple purée concentrate, 24.99% water, 20% mango purée concentrate, 3% kiwi juice from concentrate (water, kiwi juice concentrate), 0.01% ascorbic acid (Vitamin C). 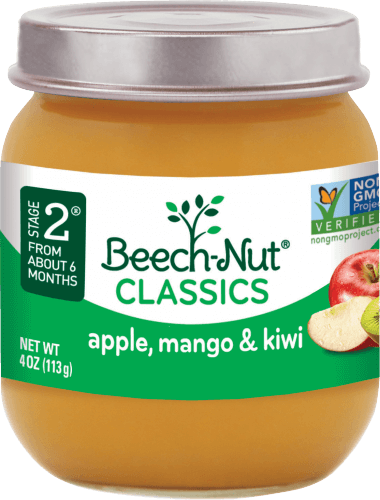 We recently switched to beechnut from Gerber and my daughter absolutely loves this one! 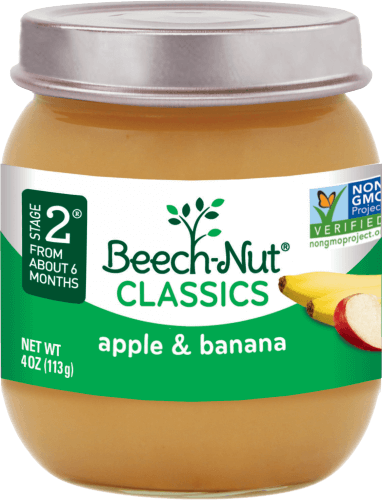 We have tried a lot of different flavors and this one is definitely her favorite. 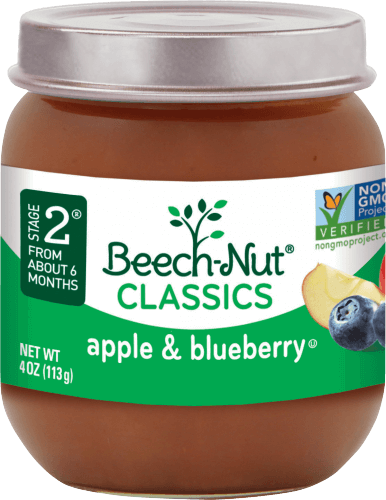 Should i heat the beechnut before i give it to my baby? It's up to you! You can heat your Beech-Nut puree briefly in the microwave before spoon feeding to your baby. To microwave, remove the lid and heat on 50% power for 15 seconds. Stir gently and test the temperature of the food yourself before feeding to baby. Let us know if you have any other questions!